Without a Doubt is not just a book about a trial. It's a book about a woman. Marcia Clark takes us inside her head and her heart with a story that is both sweeping and deeply personal -- and shocking in its honesty. Her voice is raw, disarming, unmistakable. She tells us how a woman, when caught up in an event that galvanized an entire country, rose to that occasion with singular integrity, drive, honesty, and grace. How did she do it, day after day? What was it like, orchestrating the most controversial case of her career in the face of the media's relentless klieg lights? How did she fight her personal battles -- those of a working mother balancing a crushing workload and a painful, very public divorce? Who stood by her and who abandoned her? As Clark shares the secrets of her own life, we understand for the first time why she identified so closely with Nicole Brown Simpson, in a way no man ever could. 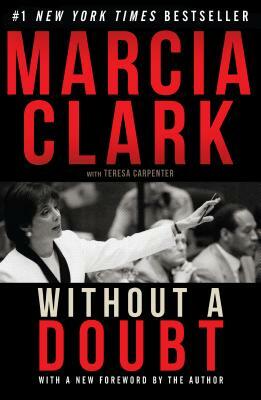 Sparing no one in this unflinching account -- least of all herself -- Clark speaks frankly about the mesmerizing and controversial personalities in the Simpson case: Lance Ito, Kato Kaelin, Johnnie Cochran, Mark Fuhrman, and Christopher Darden, among others. She also takes on her critics, the "armchair warriors" who scapegoated her after the verdict, and tells us why they were wrong. In a case that tore America apart, and that continues to haunt us as few events in our recent history have, Marcia Clark emerges as the one true heroine, because she stood for justice, fought the good fight, and fought it well. "Without a Doubt pulses with life and conviction". -- Los Angeles Times.